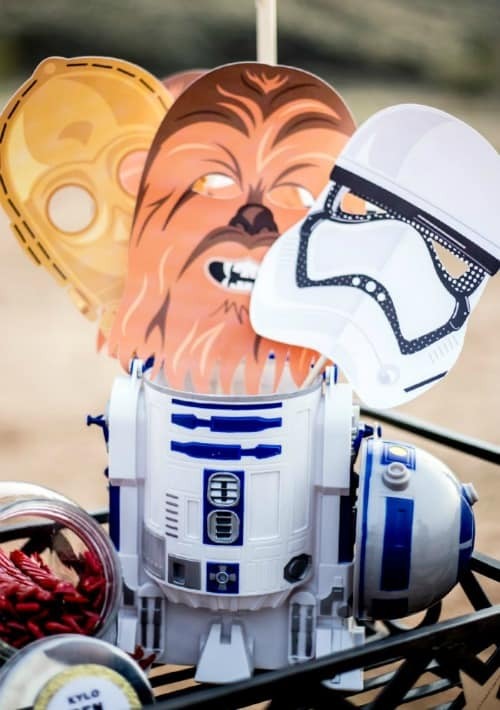 The Best Star Wars Party Ideas: 200 Foods, Decorations, Games and More! I love how timeless Star Wars has come to be. Who would have guessed that kids today would be just as obsessed with the movie their parents were at the same age? 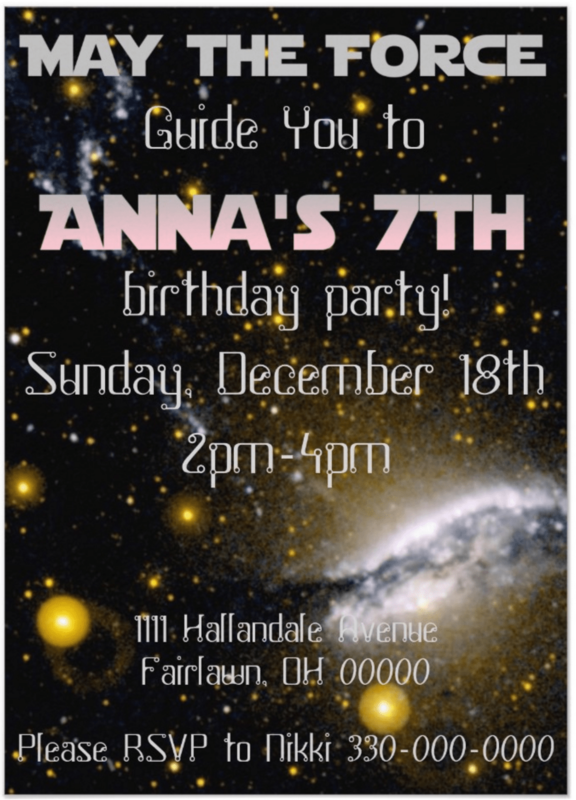 It's also fun to see new Star Wars party ideas come in waves that coincide with film releases. Now that Rogue One: A Star Wars Story is available on Blu-ray, DVD and digital HD (get my printable Rogue One activity sheets!) 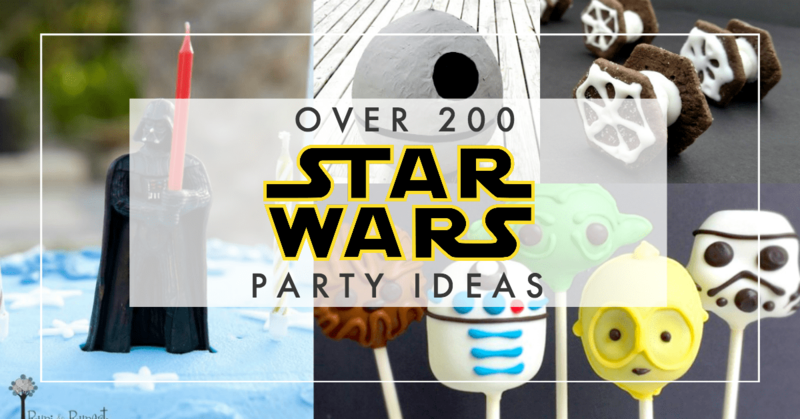 there are even more Star Wars party ideas for food, decorations, party favors and more! 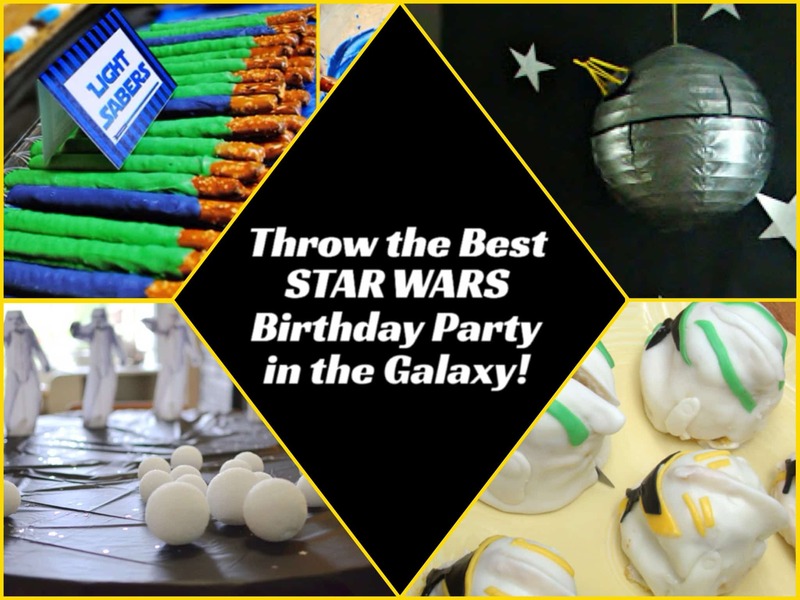 I've rounded up over 200 of the best Star Wars party ideas for you, and I'm excited to share them with you! Be sure to share all of these ideas on Pinterest by clicking the Pin It or Save button when you hover over the tall image below! If you're throwing a Star Wars Day party be sure to get my May the 4th Be With You printables! Atmosphere is important, but food is always the star of the party! If you're throwing a Star Wars party you'll be happy to know there are tons of ideas for DIY Star Wars party food for you to make! These Star Wars macarons are amazing! 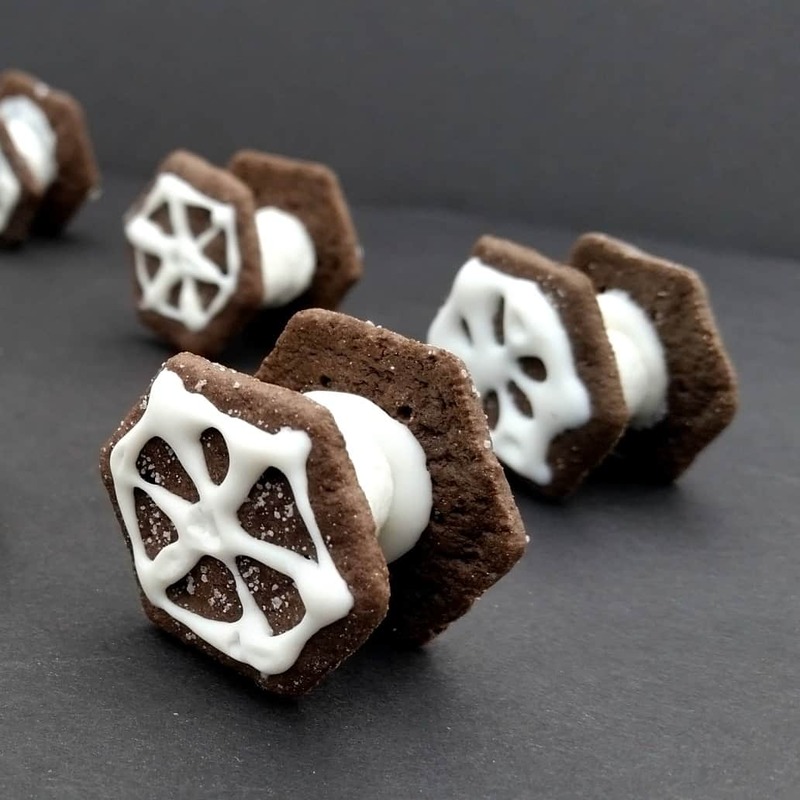 I love how simple these Star Wars tie fighter treats are! This Star Wars BB8 Muddy Buddies mix is so cute! These Stormtrooper pops are a fun way to dress up marshmallows for a party! 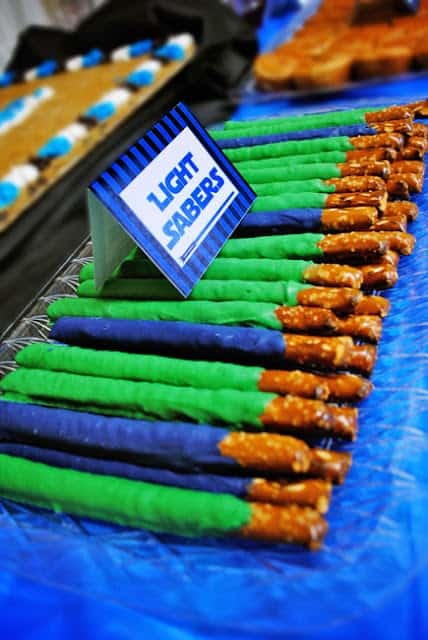 These Lightsaber pretzels are perfectly simple! Make this Star Wars popcorn mix for a fun party munchie. 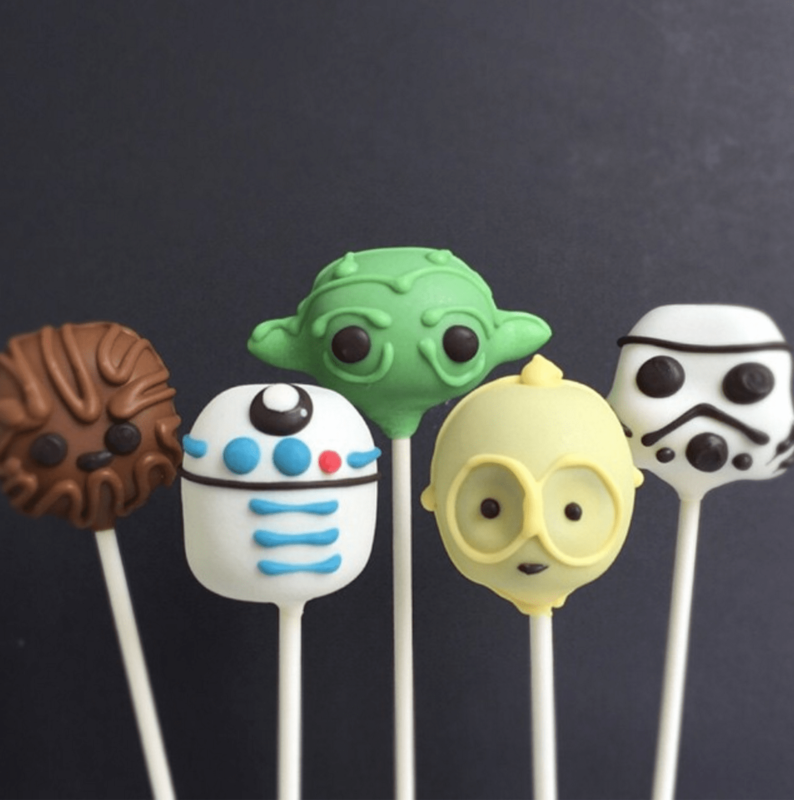 These Star Wars Cake Pops by Popalicious Cakes are adorable! Aren't these cake amazing? 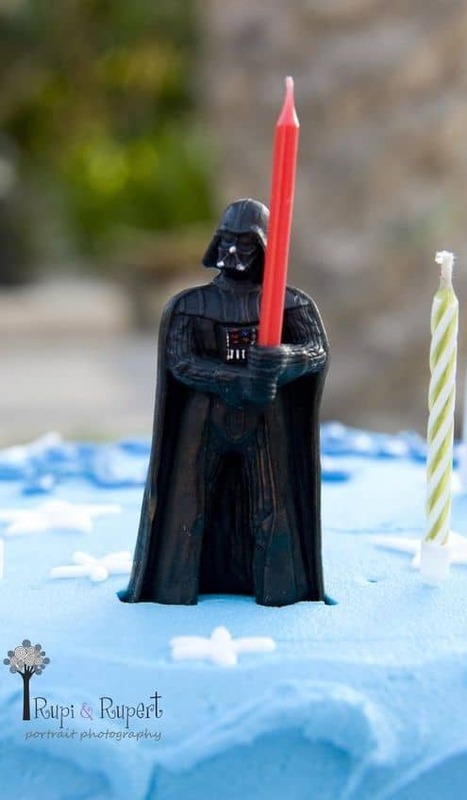 Here are 25+ Star Wars cakes for the Ultimate Jedi Master. 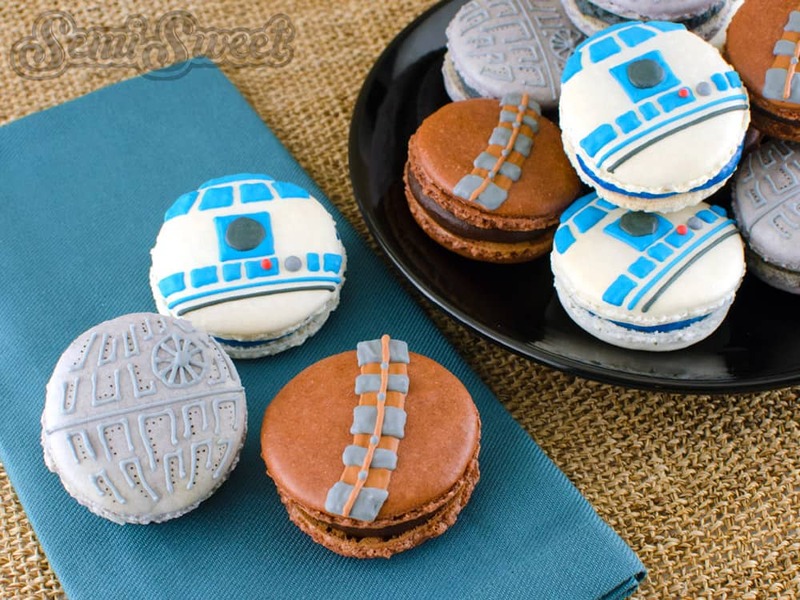 I love everything on this list of 15 insanely cool Star Wars treats! You can also keep it simple (and easy! and cheap!) 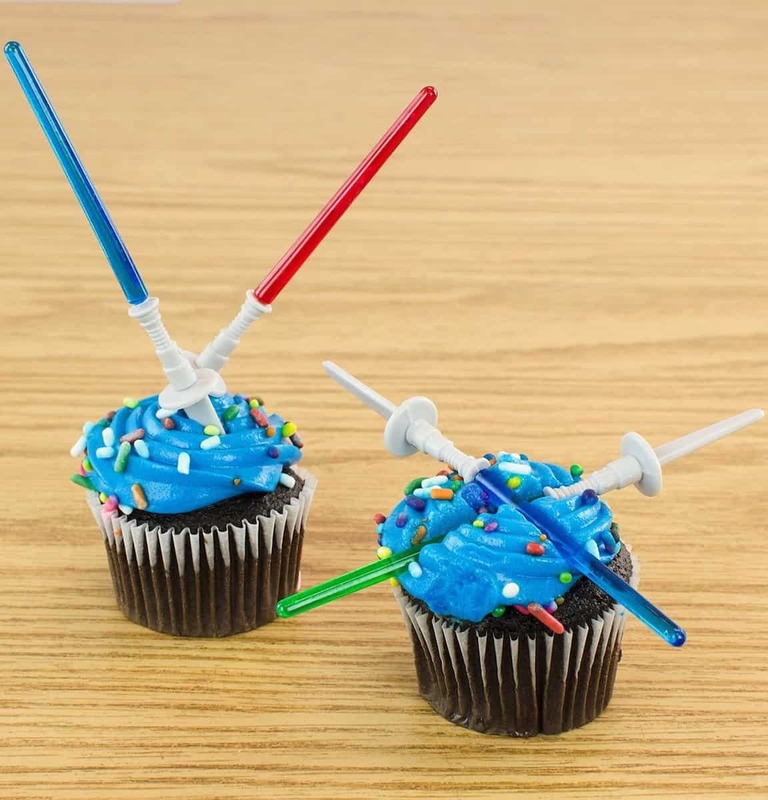 with these Star Wars lightsaber cupcake toppers! 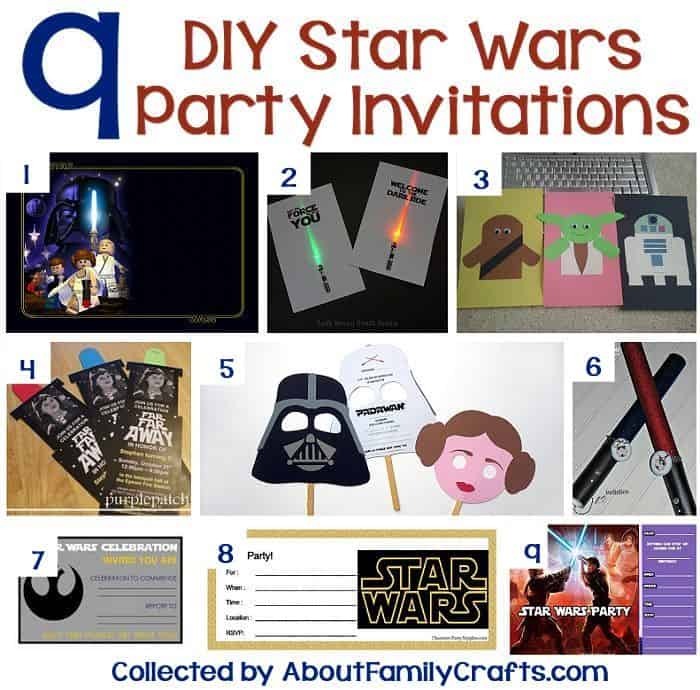 There are plenty of invitation ideas in these 9 DIY Star Wars party invitations. You can also buy custom invitations to print on your own from Etsy. If you don't want to go the print-your-own invites route you can always order these super-cool Star Wars custom invites from Zazzle. 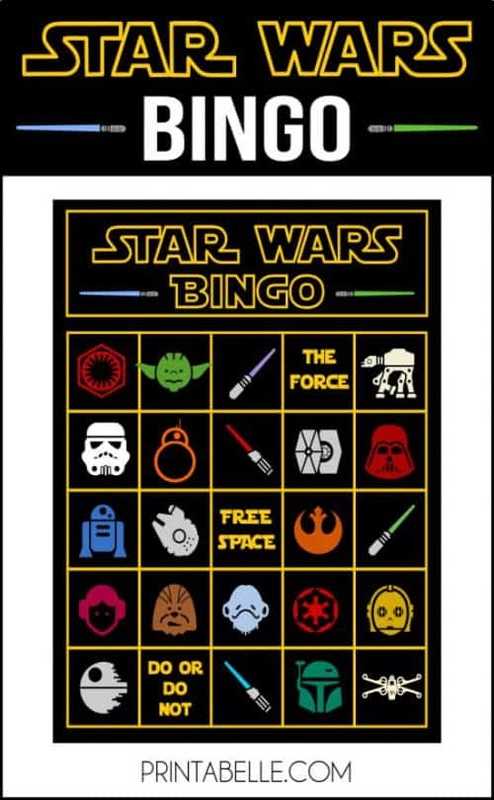 Print out bingo cards for a fun Star Wars game. 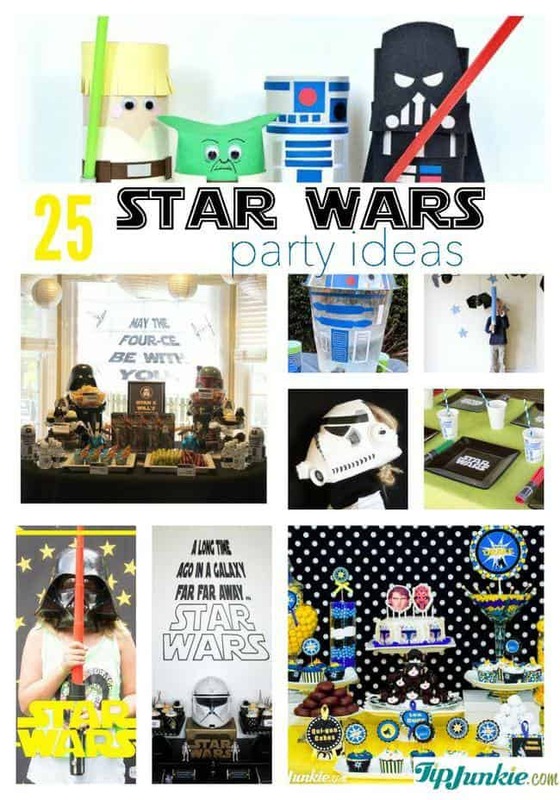 Find 24 free Star Wars party printables here. Note: You'll have to enter your email address to get them. Here are 4 more Star Wars printables! The Star Wars lightsaber bubble wands are a cute idea. Get the details and 8 more Star Wars party games here. 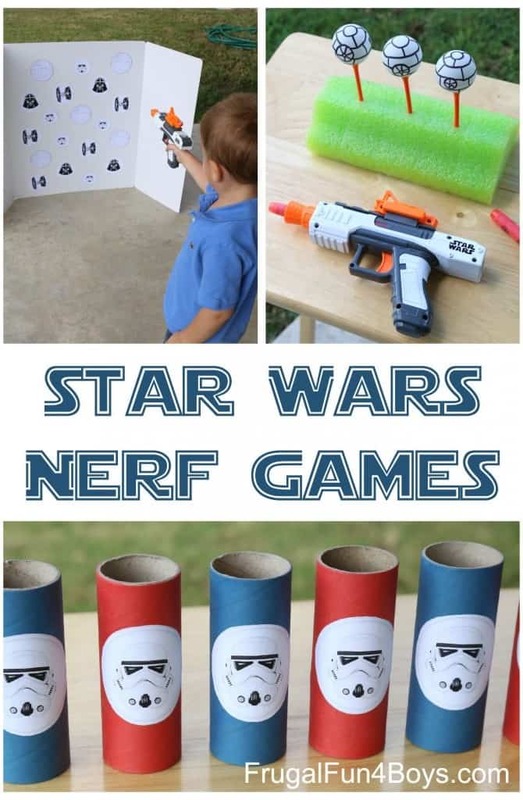 Here are 3 fun Star Wars Nerf games! Piñatas are great for parties because they can be decorations and a game! 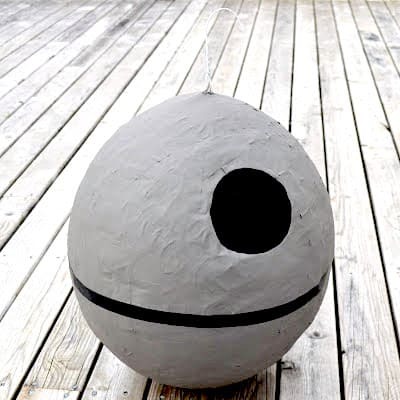 Can you believe this is a Death Star piñata? Can you believe it's a DIY Star Wars piñata? Go here to get the piñata instructions. 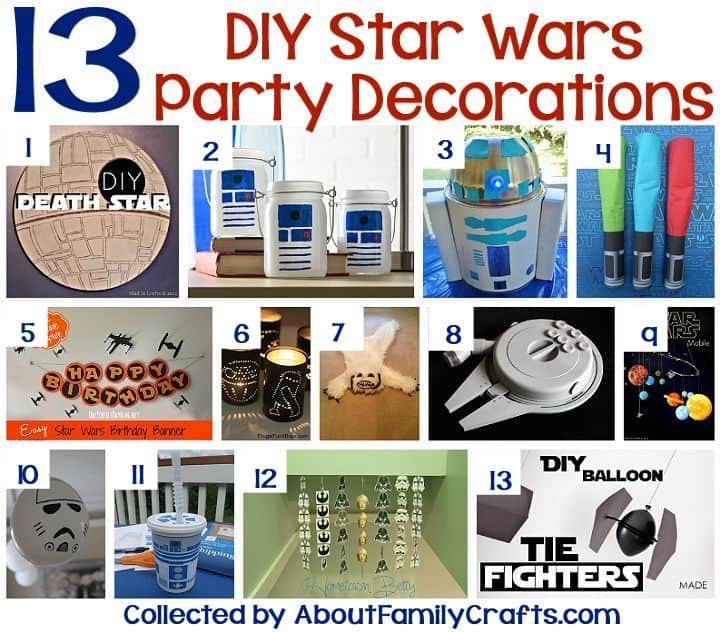 Get decorating inspiration with these 13 DIY Star Wars party ideas! Don't you love these Star Wars masks? Have kids cut out the printable mask and tape or glue them to a Star Wars pencil. It's an instant party favor! 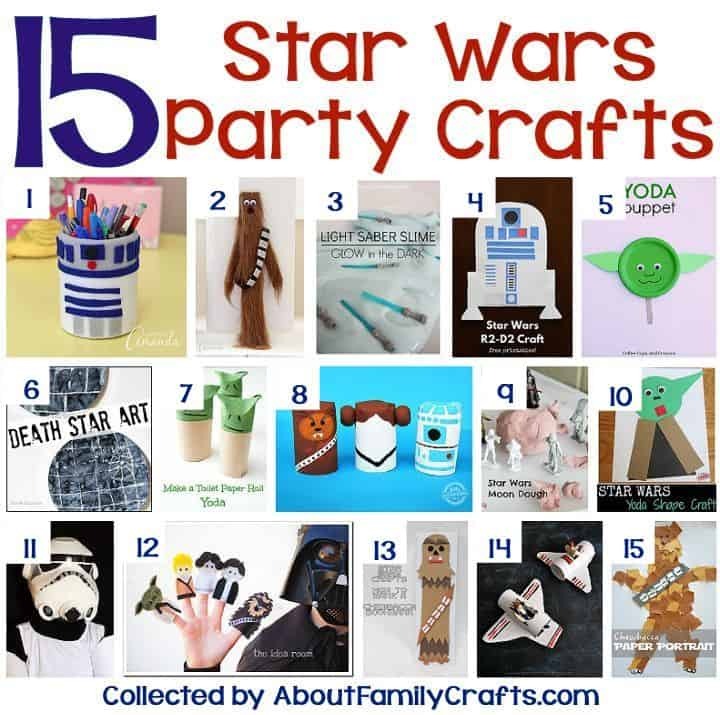 Check out these 15 Star Wars party crafts for more ideas! There are so many incredible Star Wars party ideas online, it's kind of amazing that there aren't more duplicates! 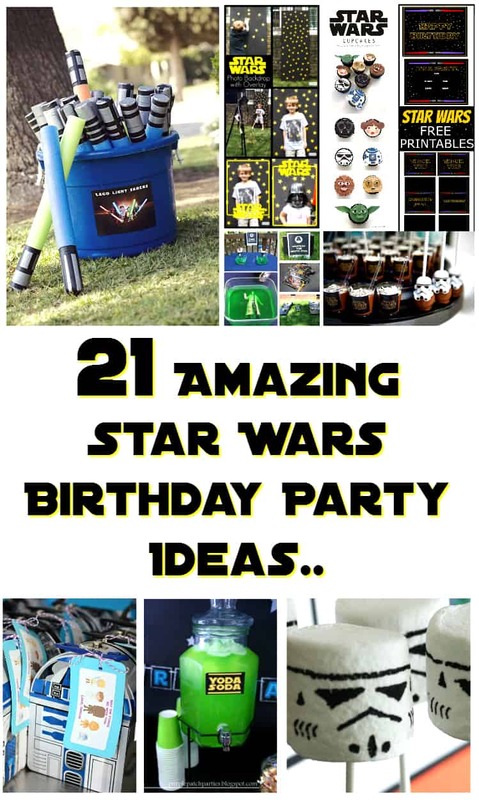 Leave it to Buzzfeed to round up 23 ways to throw the best Star Wars party! 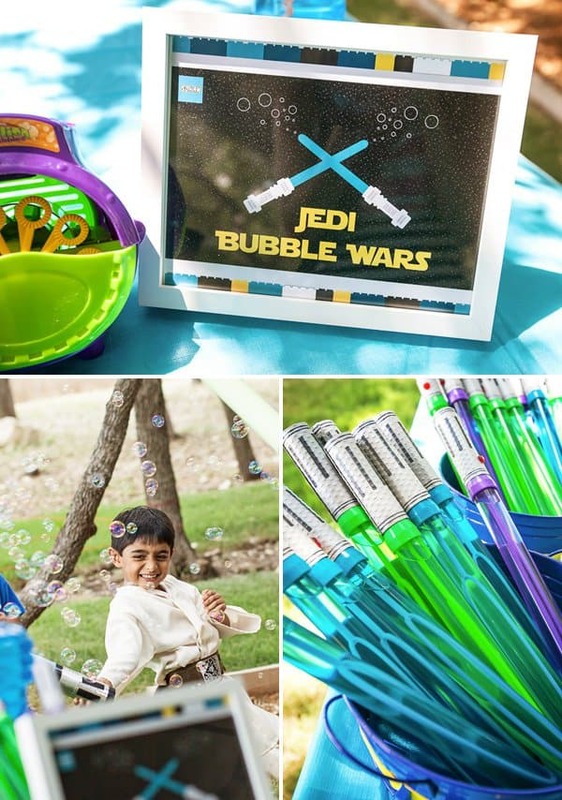 TipJunkie's list of 25 Star Wars party ideas has a little bit of everything! The Dad's Bible has some unique Star Wars party ideas that will entertain kids and adults! Parent Map put together a unique list of 13 Star Wars party ideas to throw the best Star Wars birthday party! 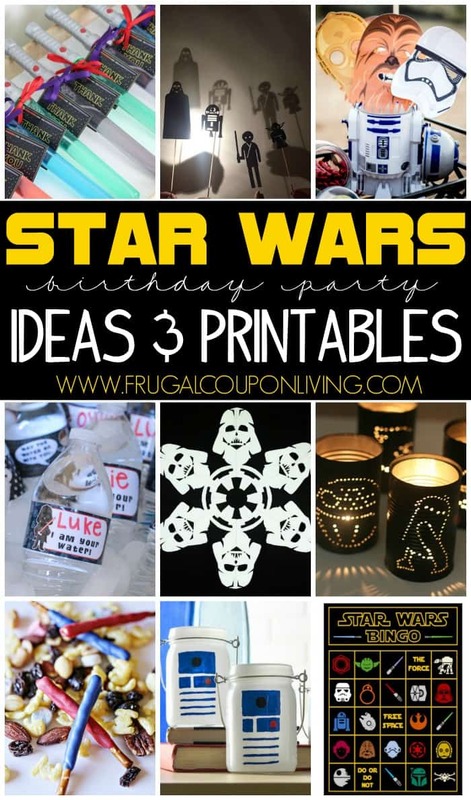 Don't miss all the DIY Star Wars party ideas and printables from Frugal Coupon Living! If your Star Wars party is a birthday party for a kid, there are some amazing Star Wars toys to give for birthday gifts! 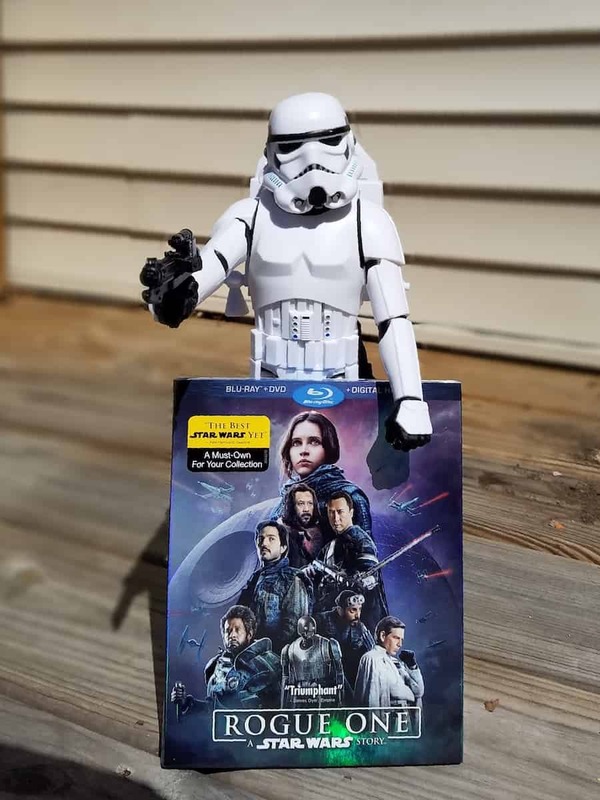 Disney sent me a few toys to have a fun Rogue One: A Star Wars Story viewing party! 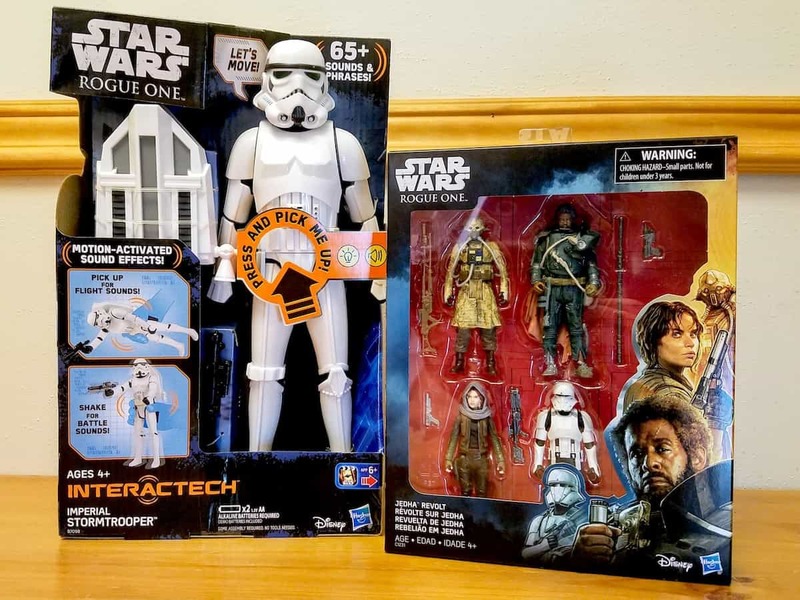 These toys would be a great gift to accompany any Star Wars party or a Rogue One: A Star Wars Story viewing party! Do you have other great Star Wars party ideas that weren't mentioned in this article? I'd love to hear about them in the comments! If you love themed parties check out my Moana-style Polynesian luau party ideas! Disclosure: Disney and their PR associates sent me the above-mentioned toys and movie to facilitate this post. All opinions are my own. This is super creative! I hadn’t thought of doing most of this for my star wars party so I’m glad I stumbled across this.